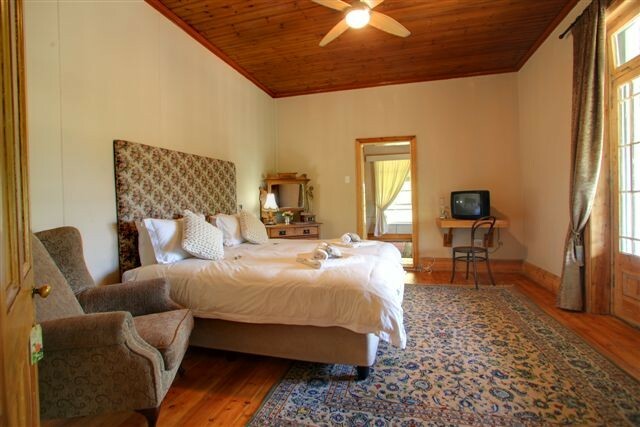 Welcome to our Historical Guest House in Willowmore, South Africa. 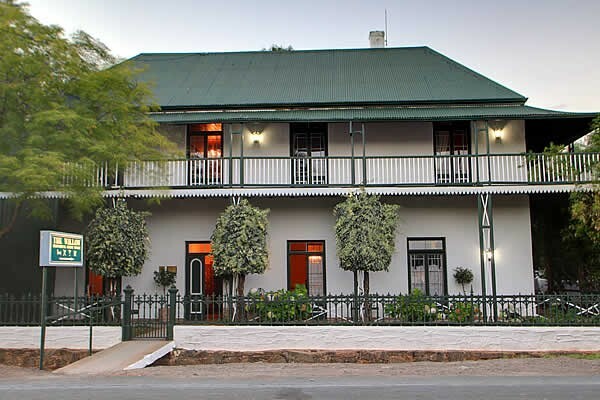 Experience an important piece of South African history in this historic building with Victorian furniture, old world charm and unsurpassed hospitality. 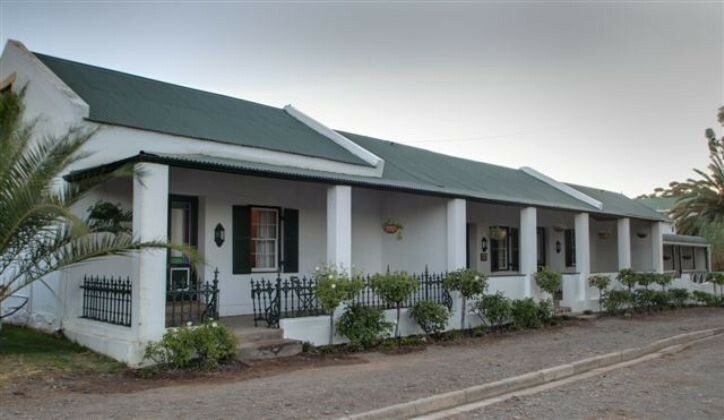 Ideally situated for stopovers when travelling from Gauteng to George the Willow Historic Guest House offers excellent comfortable accommodation, fine food in it's a la Carté Restaurant and a homely atmosphere - a real home away from home. 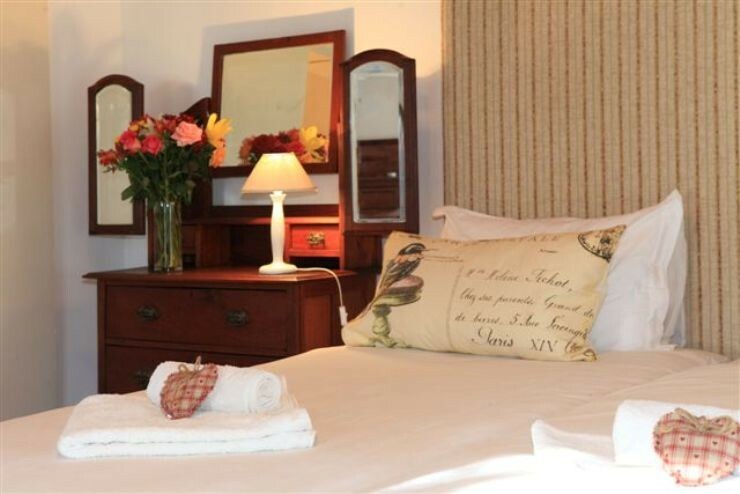 The Guest House is tastefully furnished with period furniture augmented by a large collection of Africana which will fascinate the discerning visitor, providing innumerable insights into the South African way of life in times long gone. 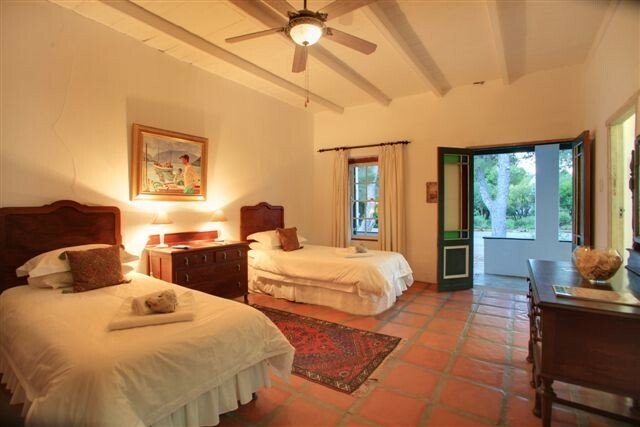 The walls are covered with South African memorabilia that offer guests ample topics for conversation about the "old days". Get to know some of your fellow guests and exchange interesting knowledge and discoveries and perhaps make new friends. 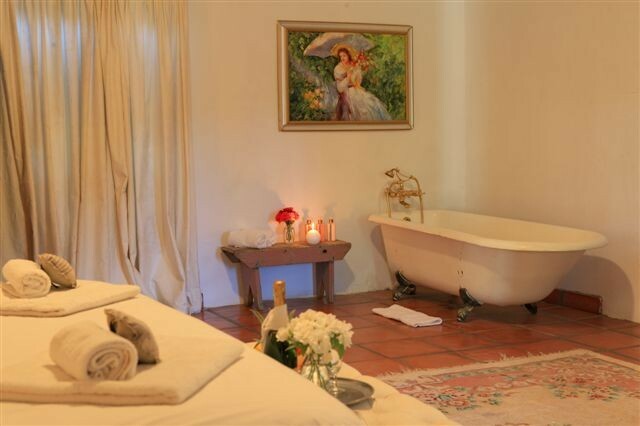 Private cottages offer cool, comfortable en suite accommodation for up to 30 visitors. 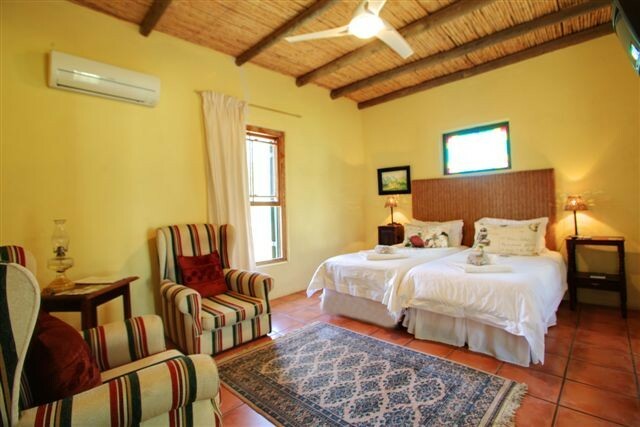 These are named after their respective origins or attributes: "The Stable" double, "Hoenderhok" (Chicken Coop) double, "Peperboom" (Pepper Tree) twin, "Windpomp" (Wind pump) twin and the "Haak and Steek" double. 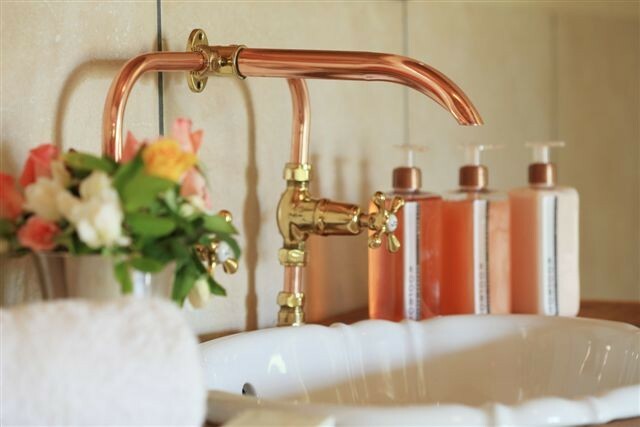 Just over the road from the main guest house is a row of period cottages which has been transformed into five huge en-suite rooms. 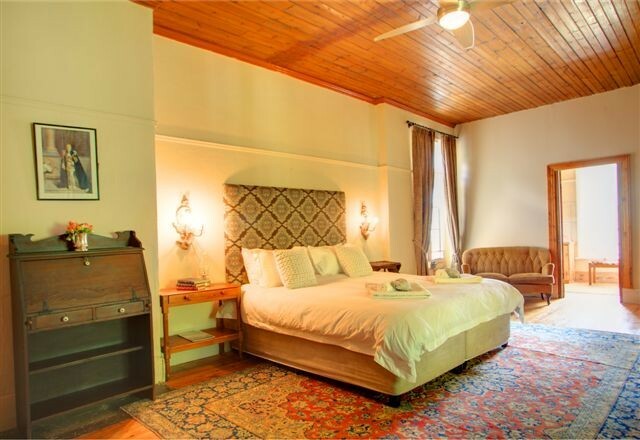 These have been tastefully renovated and furnished so as to preserve the old-world ambience while providing up-to-date amenities. 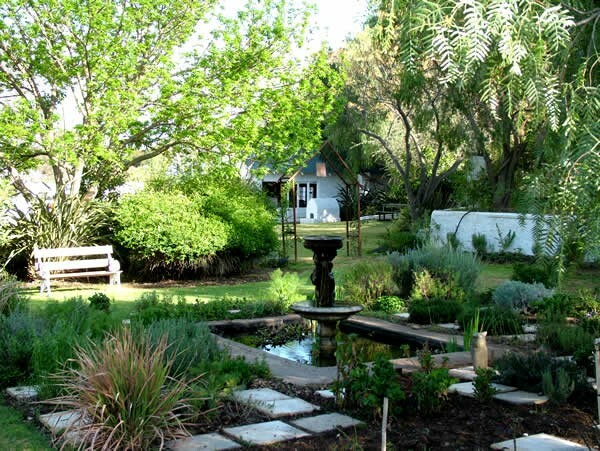 There is also a conference facility suitable for workshops and functions such as weddings etc situated in the lush garden. 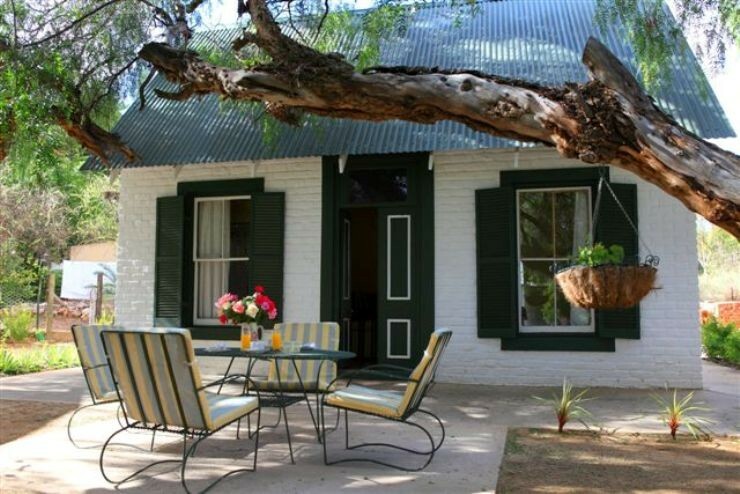 This is the ideal place to break away from everyday business offering conference goers ample safe parking, overnight accommodation as well as lots of clean Karoo air!. 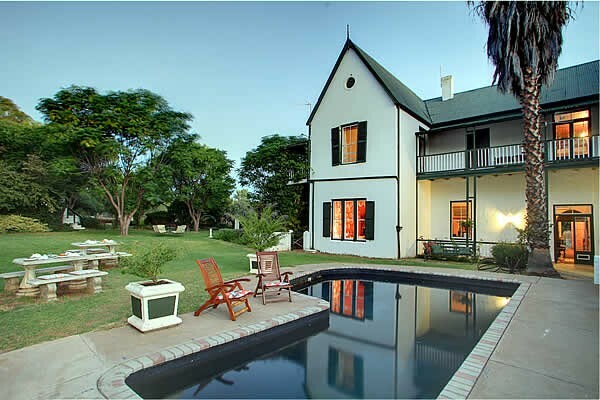 Please enquire about special package deals. 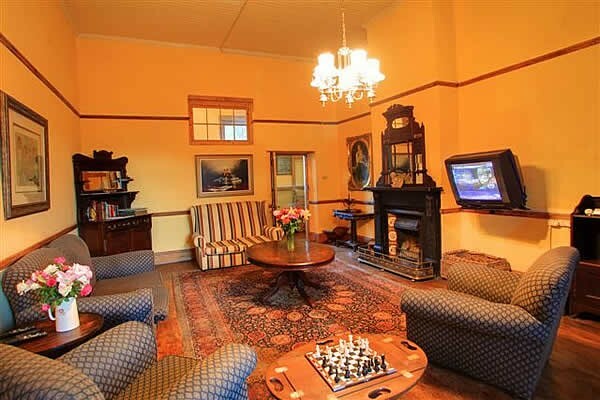 Appetising meals are served to both residents and casual visitors in the dining room, with its antique furniture and local artifacts. 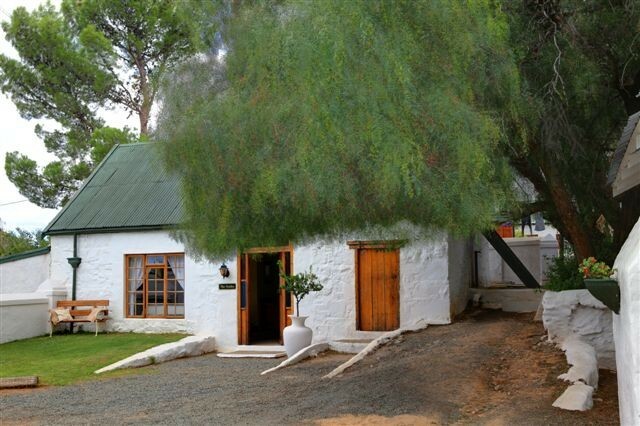 For lunch and dinner the restaurant serves à la carte meals from a menu where dishes typical of the region such as Karoo lamb and ostrich are firm favourites with our guests. 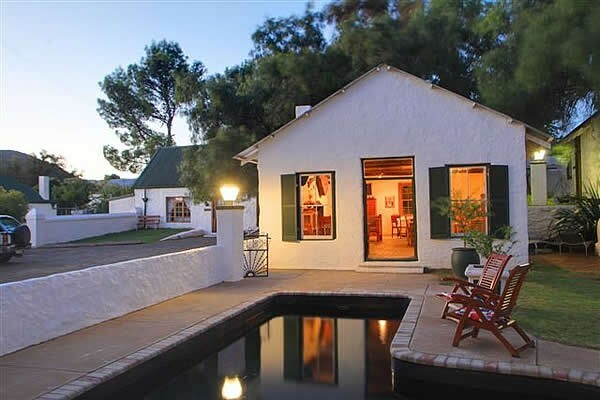 Traditional South African dishes such as boboti, tripe and trotters, oxtail on rice and pumpkin cakes are also very popular. Food is served 15 hours a day. A generous, not-to-be-missed, full English breakfast is standard and the wise traveller allows for this in planning his onward journey. 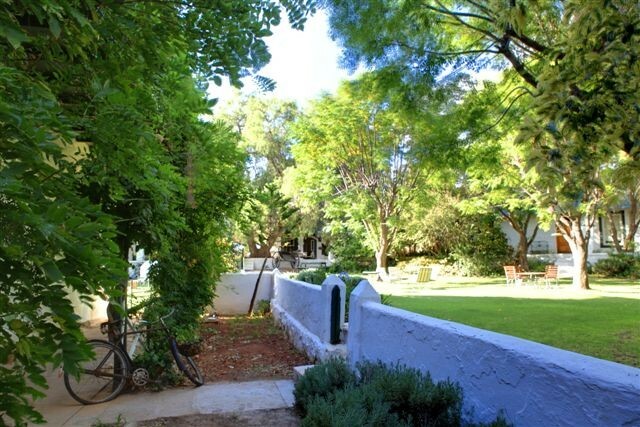 Our green garden and refreshing swimming pool are usually a very welcome change after the journey through the Baviaanskloof or the Karoo. 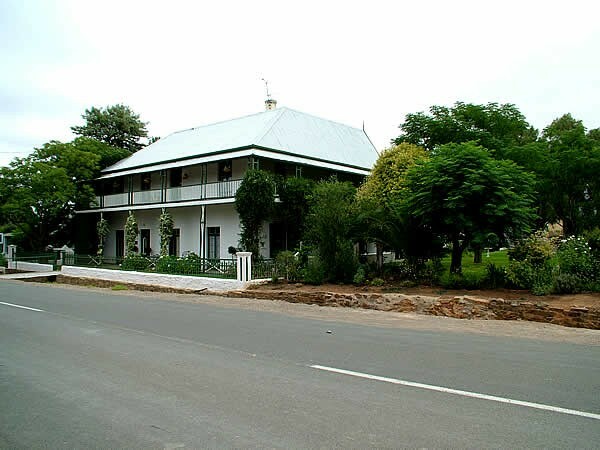 At the four-way stop street in the middle of town turn east into Wehmeyer Street. 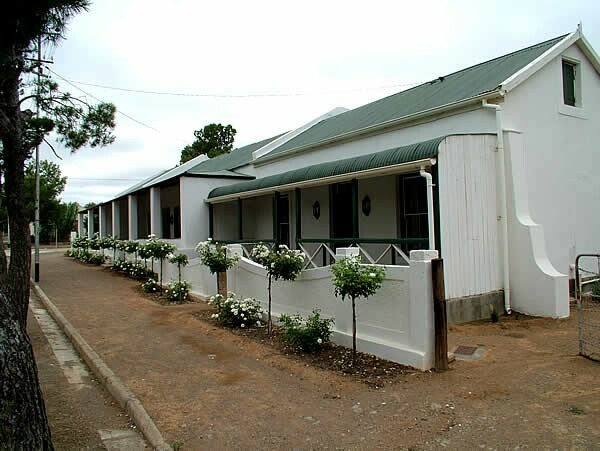 Willow Guest House is at No 70 at the end of the third block on the left.